I've been spending a lot of time on Snapsort.com comparing and evaluating different cameras. Even though I'm a long way off from being able to afford an upgrade, I like to have a goal to shoot for - at least something specific to fantasize about. I forget where I first read about the Nikon D5100, but I remember it was close to the top of a list for low noise at high ISO for the price. That stuck in the back of my mind, and the next day at work (I work evenings and weekends at Best Buy for some extra money), I crossed paths with the D5100 in person. Not fair! I swear it must have been following me just to taunt me. After comparing the D5100 to other cameras on Snapsort, it looks like a pretty amazing buy! 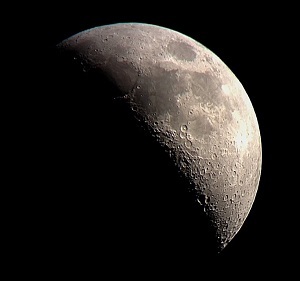 It would definitely be an upgrade from an 8MP camera, and has much higher ISO and a flip out screen (so I wouldn't have to squat next to my tripod to aim the camera). The major drawback, from what I can tell, is the lack of an autofocus motor, which means that every lens I buy would have to have a motor in it. Looking around LensHero.com a bit, it looks like the lenses with motors increase the price by over $100 easily. So every lens I get would be more expensive - and surely there are less options when you require a built in motor. Comparing the camera I'm currently using to the D5100, it's crazy to see the differences in features. There isn't even a thumbnail image of the Rebel XT (circa 2005). For some reason the oldie is a lot more expensive - probably because it's becoming harder to find. 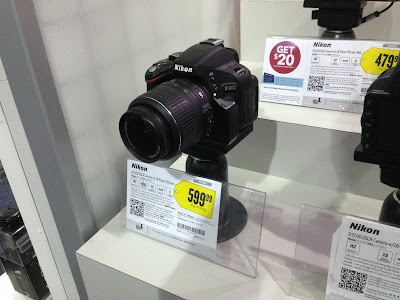 I dunno who's out there buying an 8MP DSLR for almost $700 when you get an 8MP camera on your phone these days!